A perfect file transfer client application that transfers files for web developers or anyone that moves files on the Internet! 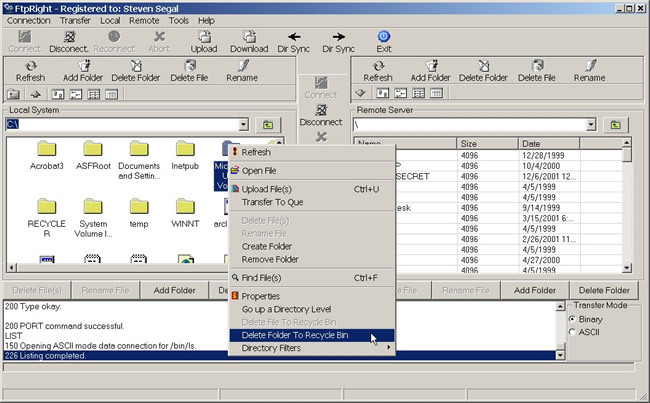 FtpRight is a Windows-based file transfer client application that transfers files between a user’s local PC and another, remote computer system connected via a modem and telephone lines or by a local-area network (With upload transfer resume and download transfer resume). .